One of the architectural glories of Liverpool. When a company formed specifically for the purpose had raised the grand sum of £23,350, a competition was held in 1839 to design the hall. It was won by Harvey Lonsdale Elmes, a 25 year old architect from London. 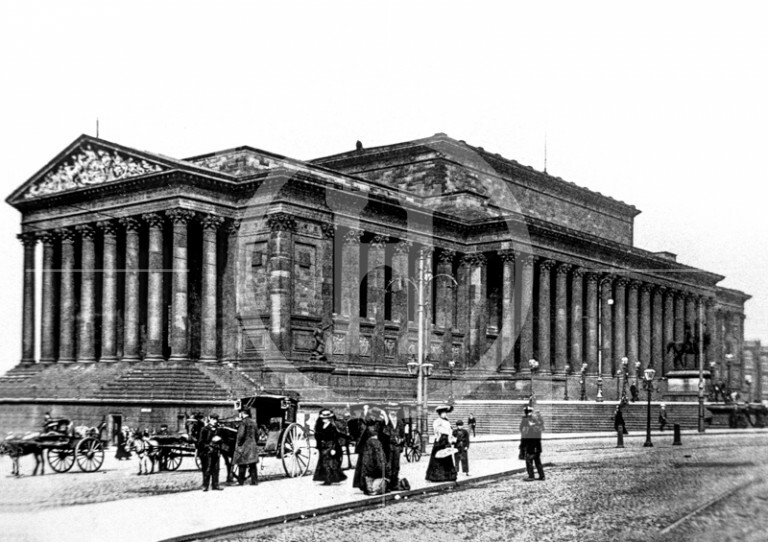 Construction started on the former site of the first Liverpool Infirmary in 1841 and the building opened in 1854. After Elmes’ death in 1847, the Corporation Surveyor, John Weightman, took the project on with the support of structural engineer Robert Rawlinson. In 1851 Sir Charles Cockerell was appointed architect where his primary focus was the interior decoration.